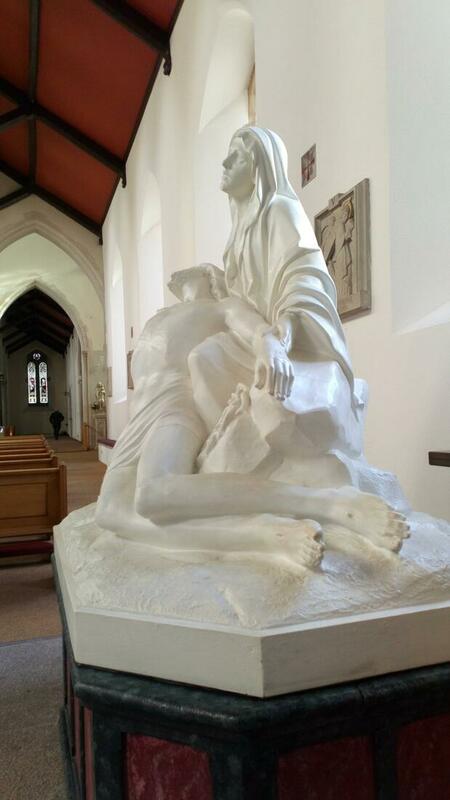 You might have noticed that we have moved the statue of the pieta. As Catholics we are always encouraged to have a true devotion to the Blessed Virgin Mary and to ask her intercession as we would of a loving mother. 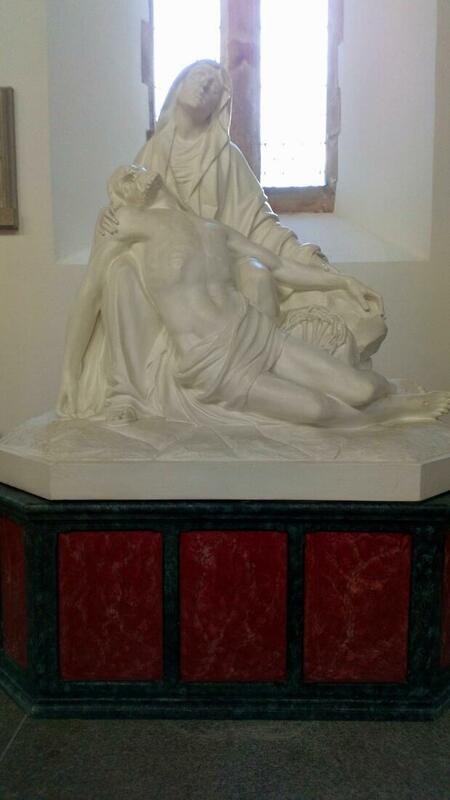 Our pieta is a copy of Michelangelo’s pieta, which sits in St. Peter’s Basilica, Rome. The pieta depicts the body of Jesus being held by Mary. Pilgrims everywhere have found great comfort in this image and through it, we realise that we are not alone, even when things seem dark. We hope the movement of the pieta will aid our devotion, so that we can be placed under Mary’s protection more readily, and so she may be closer to all our hearts.